Asphalt is a great material with both economic pricing and durability. 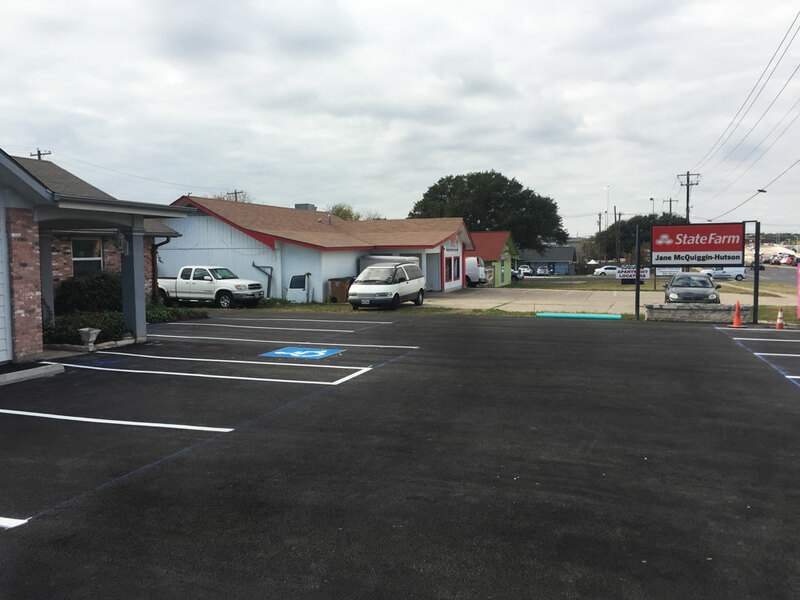 It is one of the most used materials in the paving industry and is more widely used for parking lots and roads in Austin and the surrounding areas of central Texas. Its rich black color and smooth surface is an attractive option. This material has a moderate maintenance cost, and provides a better driving experience for motorists. Asphalt pavement is more economical upfront so it compensates for maintenance down the road. Adding sealcoating helps keep the repair cost down by protecting it from oxidation. If it’s maintained properly you will add longevity to the life of the asphalt. Do you have questions about asphalt pavement? Chat with us today about our asphalt services for commercial and residential areas. We’re happy to help you with your next paving project.